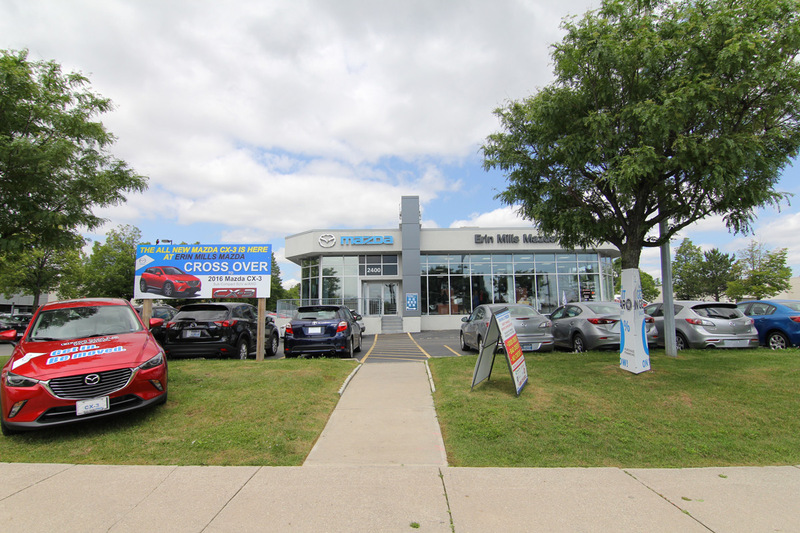 Located in the Erin Mills Automotive SuperCentre at 2400 Motorway Boulevard, with a motto of Every Customer Counts, it is no wonder that Erin Mills Mazda was rated the #1 Mazda Dealership in Ontario in 2013. We are also the #1 volume dealer in the GTA. Let our friendly staff set up a test drive, work with you to arrange financing, or help with repair after the sale. Whether it is new or used that catches your eye, visit our showroom to see the new 2017 MAZDA6, CX-5, CX-9 and MX-5 just to name a few.